Legend has it that there's something strange inside Point Park University's Pittsburgh Playhouse - read on if you dare. 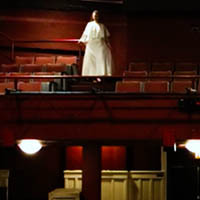 An invisible man and woman - also known as John Johns and The Lady in White - are rumored to have kept their spirits alive since they passed away in the Playhouse. John Johns had a heart attack on stage and later died in his dressing room. "He was an actor at the Playhouse," said James Dworek, technical director. 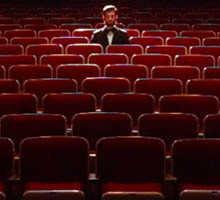 "Some say you can see him in the seats dressed in a tuxedo." Happy Halloween from Point Park University!